Not long now to go the Henley Royal Regatta, one of the highlights of the British summer sporting calendar. We hope all the Henry Herbert sports jackets and bespoke summer suits we have recently finished will do their owners proud at such events. 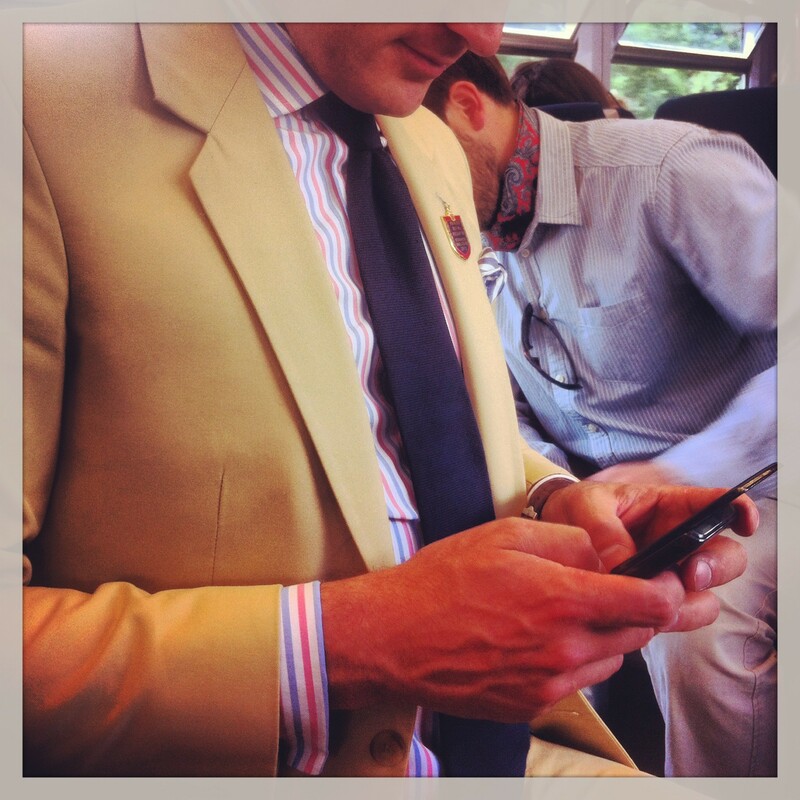 Below is an example kindly sent to us from a customer, wearing a Henry Herbert bespoke suit and bespoke shirt, whilst en route to the Regatta in 2012. For something a little more adventurous, may we suggest a striking colour! Great British Bespoke Summer Suits at the Henley Royal Regatta. We hope all the Henry Herbert sports jackets and bespoke summer suits we have recently finished will do their owners proud at the Henley Royal Regatta, one of the highlights of the British summer sporting calendar.